The city of Sun Valley announced Tuesday that it has appointed Angela Walls as its new finance manager. Walls began working for the city as a temporary payroll and payables clerk in early July. She began her new appointment as finance manager on Aug. 29. “I’m really excited to be a part of the city and to move things forward,” Walls said. Mayor Dewayne Briscoe also expressed excitement about Walls’ appointment and the progress it represents. “This is another step forward in assembling a staff to serve with me for the next three years of my administration,” Brisco said. 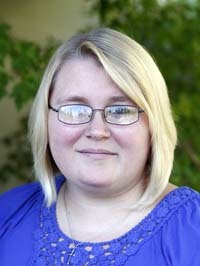 Another recent step was the Aug. 9 appointment of Hannah Stauts as city clerk (beginning Oct. 1). The city is seeking a new city administrator to replace Interim Executive Assistant to the Mayor Virginia Egger, who will be leaving the city Nov. 9. Walls will fill a vacancy left by former Finance Manager Michelle Frostenson, who resigned June 27. Frostenson continued to assist with duties required of the finance manager as an independent contractor during the time it took to find and train Walls as her successor. Walls is a graduate of Wood River High School, where she finished in the top 10 of her class and was the recipient of both Presidential and Citizenship awards, according to a news release from the city. She will bring more than 11 years of experience in applied accounting, human resource benefit administration, audit and budget preparation, and financial reporting.